Short term emergencies can strike at any time and anywhere. Be prepared with a 72-hour kit. Survival rates can increase significantly when victims are ready with the appropriate emergency equipment and survival gear. Be sure you have the right gear, food and water available. A 3-day supply can be a life saver. 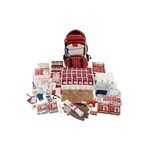 The Emergency Prep Gear 72-hour kits contain high-quality gear and life sustaining food and water to help you deal with crisis and critical events. 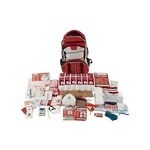 Many of the 72-hour kits are appropriate for nearly any type of emergency including, natural disasters, terror situations, pandemics, accidents, and other hazards. The 72-hour kits consist of a variety of food water, shelter, fire starting, first aid, navigation, signaling and communication, etc. Consider acquiring the right size and number of 72-hour kits for each individual you are responsible for. 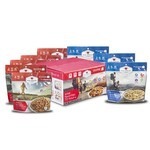 There are kits for individuals, families, schools and classrooms, work places, and more. Let us help you get outfitted for the next inevitable emergency.